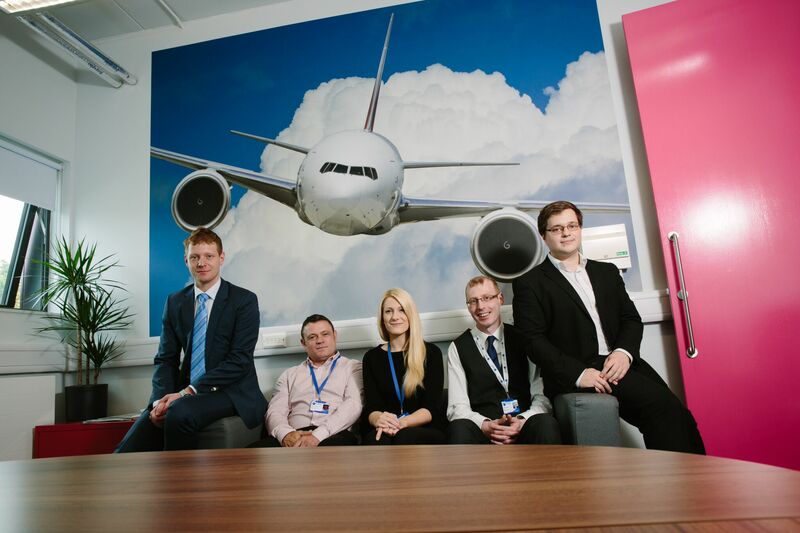 South-Tyneside-based recruitment agency CAS (Composite & Aerospace Solutions) has secured a five figure sum through the Finance for Business North East Microloan Fund. This is a regional loan scheme, managed by Durham Business Club members Rivers Capital Partners, that enables small businesses to fund their big ideas. CAS specialises in providing highly skilled members of staff and project teams to the composite and aerospace industry. It is the case that in these industries skills are often mismatched with jobs which is highly inefficient and exactly what Stephen and his colleagues want to combat. Stephen Wilkinson, Managing Director, wants to build a more positive and reliable recruitment environment. After his long service for companies such as Etihad, British Airways, Emirates & Lufthansa, Stephen felt it was the right time to pursue his vision. Stephen and his fellow directors believe they will enable the company to succeed in this niche sector. The business already holds the information of over 2000 temporary contractors and will be supplying customers, national aviation companies and Formula One car manufacturers to name a few, with the project teams they require. CAS understands the importance of supplying firms with the right qualifications, technical ability and experience. It recognises how costly and time-intensive this process can be for the industry, which is already burdened with tight deadlines and massive overheads. The Microloan allows CAS to create new jobs within South Tyneside, which will help the company expand allowing it to put more people into work. Expansion is significant for CAS Recruitment at this stage in order to build up their database. The loan has helped CAS towards its goal of becoming a market leader by helping it to get the extra staff needed. Stephen’s ultimate ambition is to own a brand renowned for its rapid deployment of permanent staff and to be the preferred supplier of choice. The North East Microloan Fund offers small businesses with loans of £1,000-£25,000 that make a big difference to businesses in the region. The Fund is ideal for inspired individuals who know the lack of finance is the missing link that is holding their business back. The Fund is specifically aimed at businesses that have been struggling to secure mainstream finance and can provide affordable credit for those with a poor credit history. A loan Fund run by entrepreneurs for entrepreneurs, the decision to provide a loan is not based on the assets a company has but rather the overall quality of the business. This makes for a speedy, hassle-free funding process, which you are guided through by professionals every step of the way.